Sly Fox has two locations, the original in Phoenixville, PA and the other in Royersford, PA. They continue to grow production and distribution, in both bottles and now more than ever...cans. 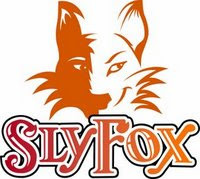 Click here for a 2009 updated Profile of Sly Fox. An addition to the profiles this year will be an interview with a key "player" at each establishment. Brian O'Reilly will be celebrating his 7 year anniversary with Sly Fox (hopefully no 7 year itch) and spent some time with me on a bit of Q&A. The Brew Lounge: Going into our second year of showcasing the region in Philly Beer Week, do you think the region gets fair props from other parts of the country? Brian O'Reilly: I don't think people fully realize how great the beer scene is here in Philly. It is hard to explain our tavern culture to people that have not been here. When I try to explain it they seem to think I am talking about an old, corner bar. You have to experience the whole thing together to get it. This means sitting down, having some food and a conversation, not just looking at a beer list. TBL: What do you think is one part of the brewing/beer industry that is missing from the Delaware Valley? B.O. : Volume of local beer, but that is changing rapidly, all of the small production brewers are growing. TBL: Successfully expanding brewing and distribution, continuing awards, contract brewing, more goats than ever. Are you having as much fun as you've ever had at work? B.O. : My job is more complicated now, but I have much more help. It is a natural progression. My challenges are different, but it is rewarding working with such a great team of Owners, Brewers, and sales staff. I still have fun, but the stakes get bigger. There are a lot of people to think of every day. Our wholesalers, tavern owners, and direct customers are all partners in our growth. TBL: How do you see the success of the Goat Races & Bock Festival continuing to grow? B.O. : We hope it does not grow too much more too quick. We are still trying to work through parking and neighbor issues, but it is a great event! What more do you need? Goats, Bock Beer, food, family environment, and German oompah music? TBL: The IPA Project had a long run, but you're morphing it into a similar project. Do you have much emotion for the end of the IPA Project? B.O. : No, we were done. It had lost it's luster this last year. I'm really enjoying the Pale ales now. TBL: Goat races, Bock Beers, IPA Project, Cans...there have been some pretty clever ideas. Share an idea or two that didn't make it off the drawing board. B.O. : I have some ideas that have not come to fruition yet. We are looking at a couple collaboration brews, they may or may not happen. We are still experimenting with canning the O'Reilly's stout. I think I have it figured out, but the can manufacturer has such a big minimum order that the project would cost a small fortune. TBL: What's the most clever euphemism or usage of the word 'can' that you've used or has been used on you? B.O. : Cantacular Cantastic and Candemonium are old standbys in my pun repertoire. Have you seen this?